Featuring sets from The Maldives, Kevin Murphy (of the Moondoggies), Mychal Benjamin Goodweather (of Campfire OK), Bryan John Appleby, Jake Hemming (of Big Sur), Ghosts I've Met and more. 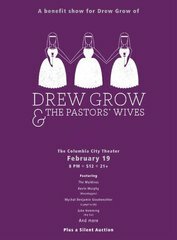 All proceeds from the evening will be donated to Drew Grow and the Pastors' Wives, the musicians playing are donating their time and there will be a silent auction and marketplace in the front of the house with goodies from local artists, musicians and businesses. Our silent auction (running from 7 to 10pm) features great goodies such as 3 nights at Doe Bay Resort and $2,000 worth of website work from Hardly Coded. We think romance should be celebrated all year round and we're celebrating love every Sunday in the Bourbon Bar with jazz trumpeter Michel Navedo. 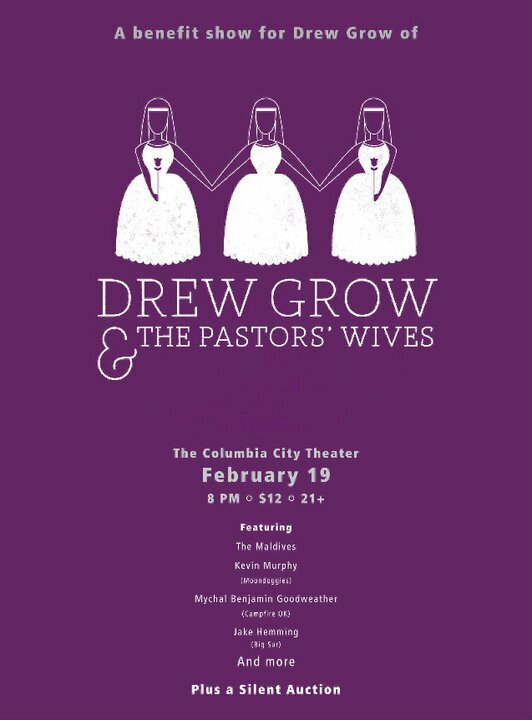 You're more than welcome to come and enjoy the music for free, but if you'd like to make the night all about your special someone, we're offering some incredible food and drink specials including a $30 date night special (a draft beer, house wine or well drink, an appetizer of salad, and two entrees of your choice). If this Sunday doesn't work out for you and your sweetie, don't worry, Michel will be joining us every Sunday in the Bourbon Bar.